Employee theft reduction training videos are available on social media sites to watch but you won’t become an expert. The videos are not live and there is no interaction with the trainer. 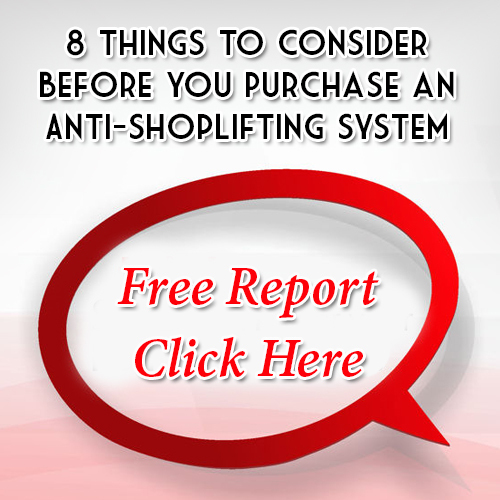 If you are a small retail owner and you have an inkling that you may have an employee or employees stealing from you it may take more than a web search to get the training needed to stop employee theft. In large companies Retail Loss Prevention Managers go through extensive training programs to learn various methods of employee theft and how to identify it. We then go through additional training on investigating cases and determining how extensive the theft has become and how to build on a case in the event other people are involved. Finally, Loss Prevention Managers are trained and tested before we are permitted to conduct a dishonest employee interview. If we are not certified by our respective companies to conduct interviews we may have to turn our case over to a trained District Manager or a Company Investigator. If I don’t think there is an effective employee theft reduction video on some video web site to help you catch your own crooked employee what is a store owner to do? I am so glad you asked. First, you have to know how your employees may be stealing from you. If you use a time card system have you ever considered that an employee may have another employee clock them in when they aren’t at work yet? That is theft of time or sometimes known as time card manipulation. If you don’t have any reports you review you may not be aware of under ringing taking place between two or more cashiers for each other. Do you ever watch the returns your employees are making? If you do, do you ever review the return against an original purchase by that employee? You may have return fraud taking place you weren’t aware of. Employee theft reduction training from Loss Prevention Systems Inc. will provide you with the training you need to help you identify the various methods your employees may be using to steal from you. The training you will receive is from an expert in the Retail Loss Prevention field, Bill Bregar. Bill’s experience ranges from U.S. Army Military Police Investigations to leading Loss Prevention Programs at the National Director level. You can receive live speaking engagements or subscribe to a live, interactive webinar training session. LPSI has the experienced professional training you need to help you reduce or eliminate employee theft in addition to other training modules you can use. I know, it is hard to imagine that employee theft is taking place among your workers some of whom you have had around for ages. That may be so but life happens and sometimes that leads to people doing things they would never have considered doing in the past. I have caught employees stealing who worked for our company for several years. I have seen store executives who earned good salaries steal cash and merchandise. I once apprehended a seasonal employee who claimed she was stealing so she could purchase Christmas gifts for her child. Some people steal out of greed, some out of a sense of not being compensated enough for their work and others because they feel they have no other options to meet financial obligations that have piled up. Whatever the reason, you would be surprised at who will steal under a certain set of circumstances. In part 2 of this article, we will discuss other problems that arise when employees are stealing from your business. It is not always a one-time occurrence. Sometimes an employee theft case has other issues that have to be uncovered. Employee Theft Reduction Training from Loss Prevention Systems Inc. will give you the insights you need to identify problems you may not know you have or prevent them in the future. Employee theft reduction training videos are available on social media sites to watch but you won’t become an expert. The videos are not live and there is no interaction with the trainer. If you are a small retail owner and you have an inkling that you may have an employee or employees stealing from you, it may take more than a web search to get the training needed to stop employee theft. In large companies Retail Loss Prevention Managers go through extensive training programs to learn various methods of employee theft and how to identify it. We then go through additional training on investigating cases and determining how extensive the theft has become and how to build on a case in the event other people are involved. Finally, Loss Prevention Managers are trained and tested before we are permitted to conduct a dishonest employee interview. If we are not certified by our respective companies to conduct interviews we may have to turn our case over to a trained District Manager or a Company Investigator.